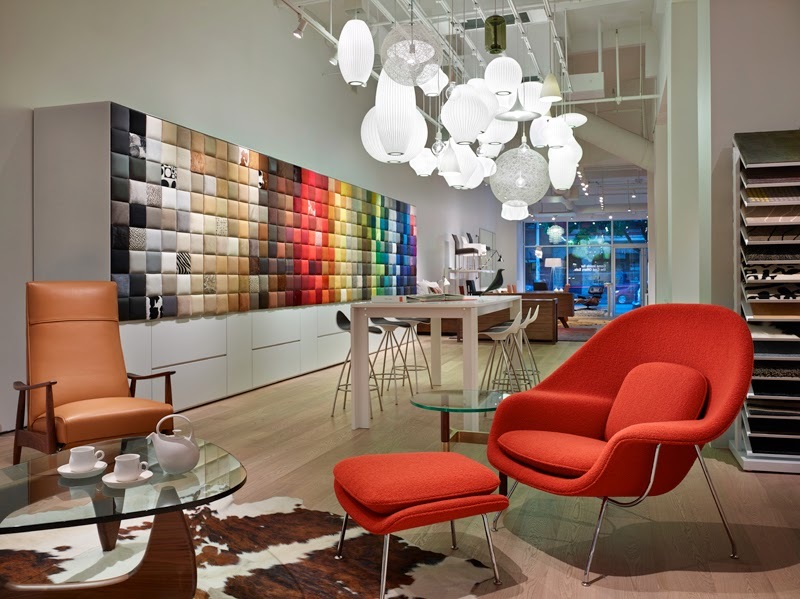 DWR Seattle, LED Retrofit Lamps at Their Finest! Our most recent Design Within Reach store just opened in Seattle, WA. It’s a unique store because we had to make the very best of the existing condition; suspended track w/ standard incandescent lamp holders. The budget did not allow for our typical dedicated LED track spots. In stepping away from those we had to start looking at retrofit lamps that could still give us enough punch. We ended up with a PHILIPS 12w PAR30 (in warm white to match halogen) and are VERY pleased with the outcome. To make this switch successful we had to tighten up our typical spacing of lights and rearrange the track locations to be more specific to furniture vignettes, etc.